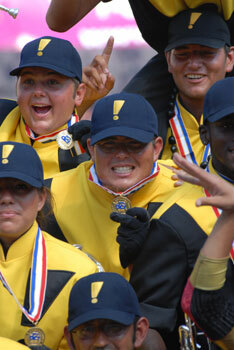 November and December marks the unofficial start to the 2007 season as many corps hosted the first of their annual auditions. DCI.org has asked directors and staff members for their tips to help you on your way to becoming a member of the world's most elite and exclusive marching music ensembles. Impulse; Aug. 12, 2006; Madison, Wis.
Those auditioning should be able to take away a feeling of being part of something great, even if it is only for a short period of time. Learning and soaking up every second of the experience should be a priority, which will help to make the student a better person no matter what he/she chooses to pursue after the audition. - Rosie Miller, Carolina Crown color guard co-supervisor. Check out a list of audition dates for the corps you want to join.